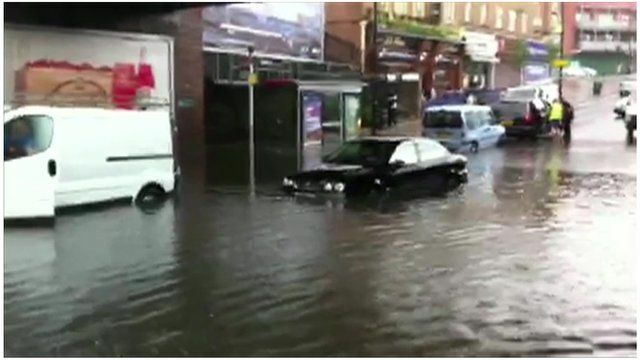 Parts of north-west London have been affected by flash flooding following a heavy downpour during Monday's morning rush hour. Two women had to be rescued from a car stranded in water outside South Ruislip Station and about 20 properties were also flooded on Bedford Road in Ruislip. David Green emailed in this video of the road outside Ruislip Manor Station.